Brand new 2019 edition coins. 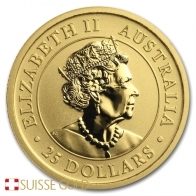 The 1 Ounce Australian Kangaroo gold coin has a face value of $100 AUD. 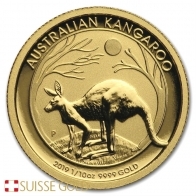 In 2016, the Perth Mint also introduced the Kangaroo coin in silver, and in 2017 the coin was introduced into the precious metals market in platinum. 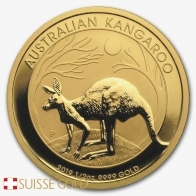 The silver and platinum Kangaroo coin are only available as a 1 oz coin. 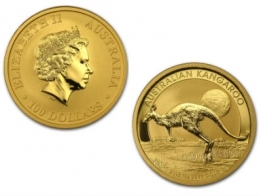 Please contact us to sell 1 oz gold Kangaroo coins.